Although the adventure motorcycling scene has only really blown up over the last decade or so, the roots of this brilliant obsession of ours take us all the way back to the early 20th Century. Over the years there have been many defining moments that has made this industry what it is today. So, to celebrate the heritage of adventure motorcycling we teamed up with Bennetts, a company that will have insured many adventure motorcyclists over the years, as they celebrate 85 years of business since their launch in 1930. Here are the top 10 moments of adventure biking from the past 85 years. Long distance motorcycle journeys often change lives, but when Ernesto Guevara set off on a 5,000-mile ride around Latin America in 1952, it changed the political history of a whole continent. Along with friend Albert Granado, Guevara left his comfortable life in Buenos Aries and spent months touring the continent surviving off the hospitality of the people they met along the way. This, paired with the disparity he saw between rich and poor, set in motion the events that would see him help overthrow the US-backed Cuban government. He documented his journey in his book, The Motorcycle Diaries, which was later made into a film. Boxing Day 1978 saw the birth of the Dakar Rally as 182 vehicles set off from the Place du Trocadéro on a 6,200-mile (10,000km) journey into the unknown, destination Dakar. Only 74 competitors made it to the finish line after a challenging ride across Europe and North Africa with a 21-year-old Cyril Neveu winning it on his Yamaha 500 XT. It may have changed continents due to safety concerns, but the Dakar Rally is still going strong to this day. Ted Simon, a man many consider to be one of the fathers of adventure motorcycling, spent four years travelling the world in the ‘70s on a 500cc Triumph Tiger 100. His experiences during the 64,000-mile journey were detailed in Jupiter’s Travels, a book that has been credited with inspiring many motorcycle adventures including Ewan McGregor and Charley Boorman’s world travels. The launch of the R 80 G/S was the start of something great for BMW. It was the company’s first machine that would offer the ability to tour on the roads with a pillion and luggage as well as the capability to handle the rough stuff. It proved to be a good move for BMW with the GS seeing over 30 years of success in its varying formats which shows no sign of slowing down. In the early ‘80s Elspeth Beard set off on her used 1974 BMW R60/6 flat-twin to ride around the world. During her three-year, 48,000-mile journey she crashed in Australia and Thailand, fought hepatitis in Iran and forged permits in India. The journey also meant she was the first British woman to ride around the world. Reaching the North Pole by motorcycle was just one of the amazing feats Shinji Kazama has achieved. He has also ridden to the South Pole and previously set records for elevations reached by motorcycle on Mount Everest, Mount Kilimanjaro and Mount Fuji. Kazama also became the first Japanese national to finish the Dakar Rally in 1982 and won in the 500cc class in 1984. Turn back to June 1997 and while most of the British public will have been gearing up for summer, Nick Sanders was completing a 19,930-mile circumnavigation of the world in a record time of 31 days and 20 hours. It was an impressive feat, and it was one which he eclipsed when he rode around the world on his Yamaha R1 in 2005 in a time of 19 days and four hours. 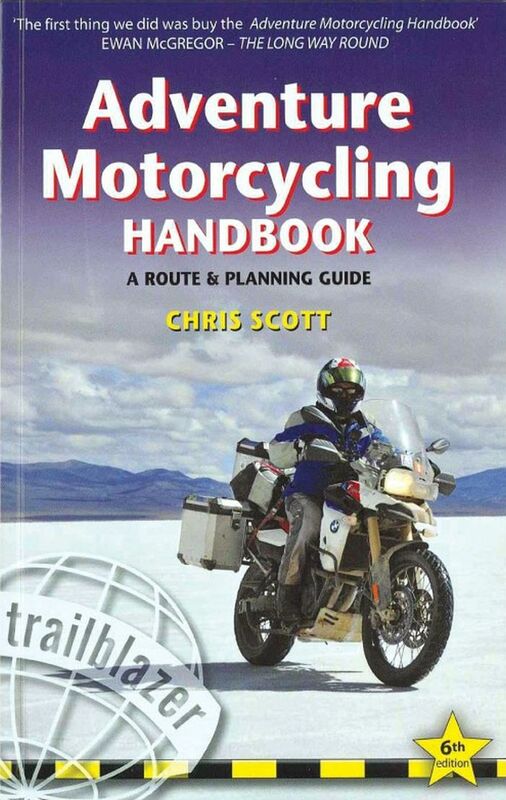 With renowned adventure motorcyclist Chris Scott at the helm, the first Adventure Motorbiking Handbook (now Adventure Motorcycling Handbook) was published in November 1997. The book built on its previous incarnation, Desert Biking, and offered a comprehensive guide to anyone looking for an adventure on a motorbike including the likes of the Long Way Round duo. While the series has long been a contentious topic in the world of adventure motorcycling due to the size of the crew, there is no debating the fact that Ewan McGregor and Charley Boorman’s round the world adventure brought the sector into the mainstream. Along with a second series, Long Way Down, the programme has been an inspiration for hundreds, if not thousands, of motorcyclists and it would arguable that the industry would not be what it is today had the series not aired. OK, so it might be a bit of a cheeky to include the launch of ABR, but in July 2010, when the magazine first launched, it was the only print publication dedicated to adventure motorcycling at the time. Ever since, ABR has been there to bring you all the latest news, reviews and motorcycle travel features to help inspire you to make your dreams come true. Eye of the Rider Moto Docos has not been paid to share this article. All rights remain with ABR Magazine UK.